The most beautiful Croatian waterfalls - World Rivers Become a Patron! 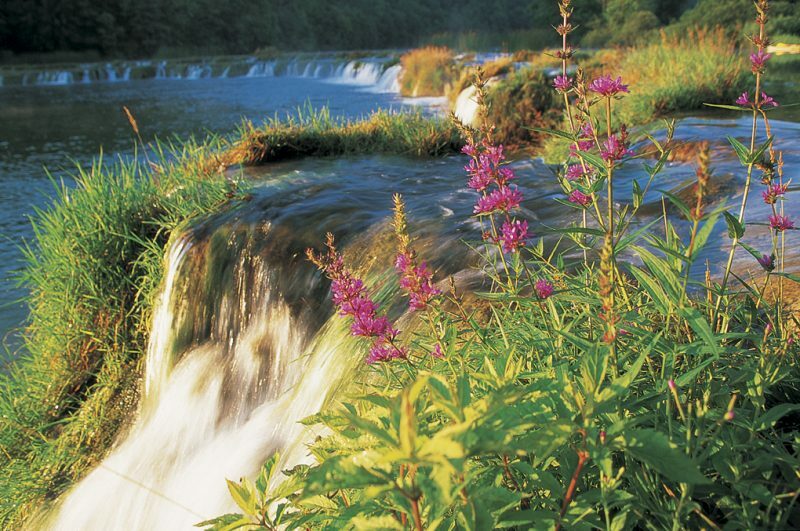 Croatia is blessed with beautiful, diverse and preserved rivers. Waterfalls are present on many of them, especially in the karst region. The tufa (travertine) is the main creator of the waterfalls in many rivers. Even though there is not much gradient in the altitude, the rivers are dammed by tufa barriers and beautiful waterfalls are created. They are not so tall, as are diverse. 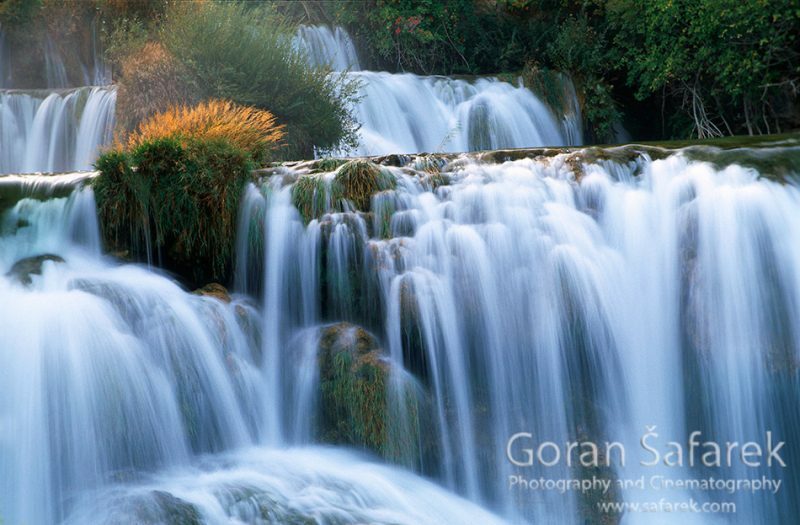 Some of these lakes are cascading, just like stairways in a fountain, Ogrlice in Krka National park is a notable example. 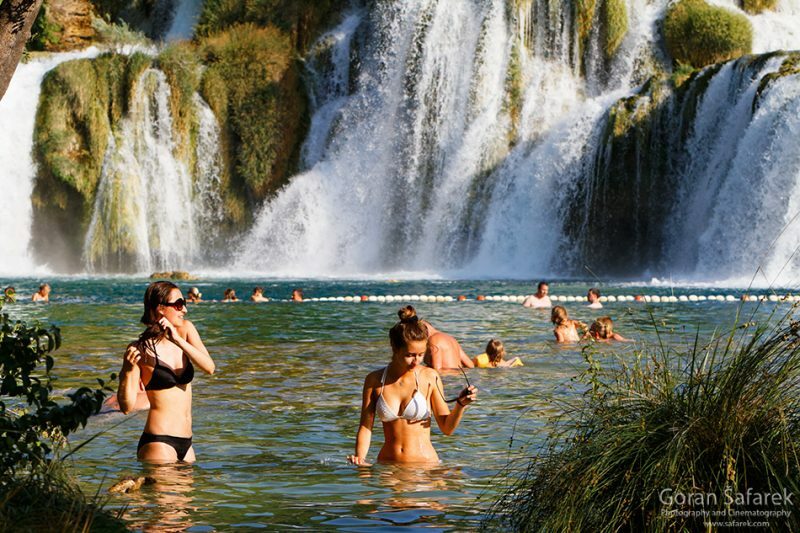 Plitvice Lakes and Krka are just the most famous examples. Plitvice lakes are series of interconnected lakes that are separated by these tufa barriers. Lakes are literally falling, tumbling into each other via a series of waterfalls and cascades. 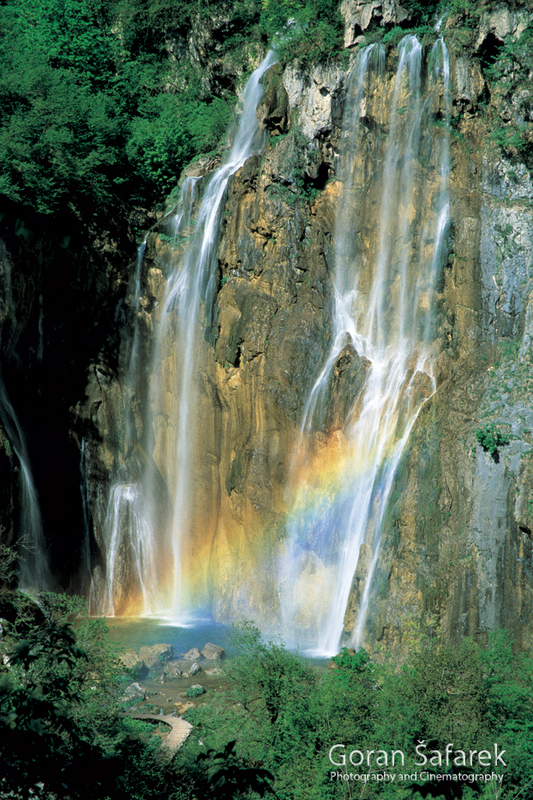 Skradinski buk in Krka is the longest waterfall in Europe, made up of many smaller cascades. 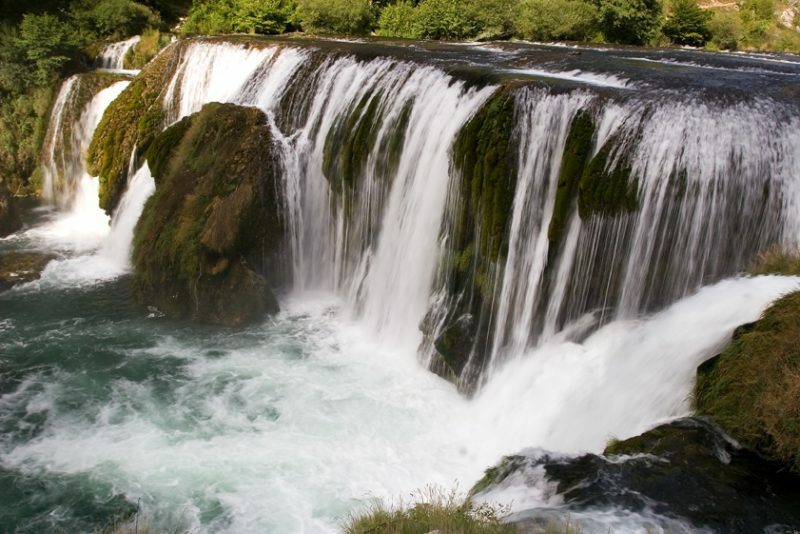 The highlight of Krka, the famous picture from the postcards, it connects little islands in the emerald-green, fish-filled river and terminates at the park’s largest waterfall. Skradinski Buk’s 800m-long cascade descends by almost 46m before crashing into the lower lake, which is a popular swimming spot. But, almost every river in the karst region boasts with these natural barriers with waterfalls. Mrežnica is a river with roughly hundred of such waterfalls, usually arched across the river. Emerald green water is in stark contrast with bright droplets, spraying all over. Mrežnica is a great site for swimming, and smaller cascades are used like a Jacuzzis. Una is another river with big tufa waterfalls, like giant Štrbački buk on the Bosnian border. Similar is Veliki buk Zrmanja, river known for its wild canyon and canoeing. In case you wonder, a word buk is a corruption of the Croatian word buka – a noise. There are much more of such glittering and noisy waterfalls on the Zrmanja and its tributary Krupa. 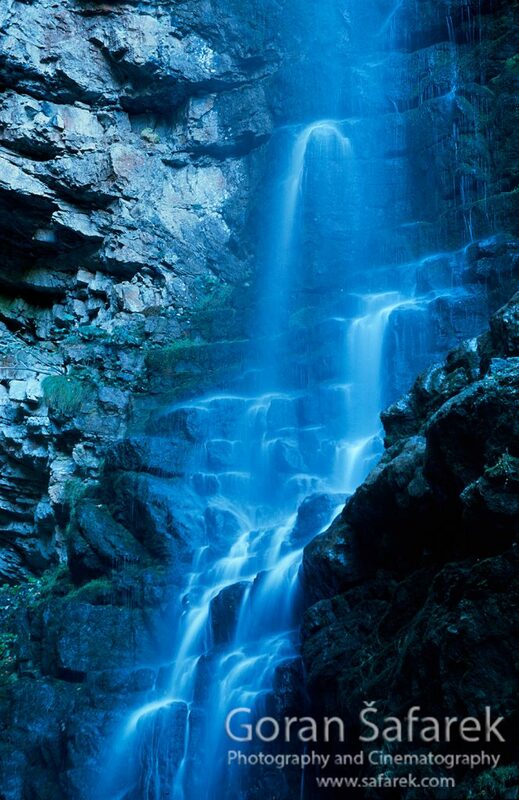 The tallest waterfalls are classic ones, where water flows over a vertical drop. These are located mostly in mountains with steep slopes and drops. Some good examples are Skakavac on Papuk Nature Park or Zeleni vir in Gorski kotar. Gubavica on the Zrmanja River if found in a narrow and wild gorge that can be passed only as canyoning. Beautiful lake springs in Croatia!